What exactly is Separation and How is it Different from Divorce? 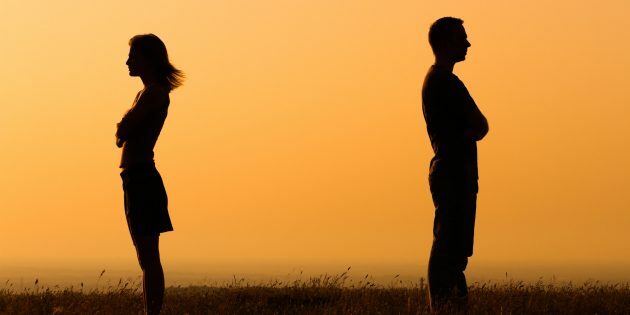 A legal separation in Singapore occurs when you do not wish to continue living with your spouse but are unable or have not made the final decision to get divorced. The main difference between separation and divorce is that divorce legally terminates the marriage. One way of looking at separation is that it’s a pre-cursor to divorce. You used to think you were meant to be together. Separation’s a way of finding out whether you’re meant to be apart. A divorce tryout of sorts. There’s no turning back from divorce. As you’d probably imagine, separation in Singapore has a lot less restrictions compared to divorce. There are no time bars and no need to find facts for the irretrievable breakdown of the marriage. To file for a divorce, you’d need to have been married for at least three years, and to prove facts (i.e. adultery, unreasonable behaviour, desertion or separation of 3 or 4 years) that lead to the sole ground of divorce – the irretrievable breakdown of the marriage. Separation can be divided into the three forms below, becoming increasingly more formal as you go down the list. Separation as a concept can probably seem a little iffy to anybody looking to end a marriage. After all, there’s no legal end to the marriage. Why not just move out of the house and never look back? Well, that’s essentially what informal separation is all about, with a few nifty additions. Spouses are free to separate informally any time they wish. However, if the informal separation is intended to be one that may eventually lead to a divorce, you and your spouse may wish for the separation to be considered as a fact for divorce. In order for the separation to be valid and recognized by the Singapore Courts, you should ensure that there is physical separation and the discontinuation of spousal duties (e.g. cooking, cleaning for each other). A more formal form of separation involves a detailed document stating the various terms and conditions of the separation itself. This is known as the Deed of Separation, which has to be signed, sealed and delivered in order for it to be recognized under Singapore law. The Deed of Separation can only be invoked with both spouses’ consent and usually contains a detailed breakdown of the spouses’ agreement on various ancillary matters that would be considered in a divorce, such as custody, care and control of the children, division of matrimonial assets, and maintenance etc. Think of the Deed of Separation as a legally-binding document that lays out the framework for the actual separation. It should be emphasized that the Deed of Separation just sets out the terms of the separation but the Family Court in Singapore has every right to set aside any terms of the Deed of Separation that it considers inappropriate. A good Singapore divorce lawyer will be able to assist in drafting a Deed of Separation and will also be able to provide advice on the ancillary issues that need to be considered should the separation move on to a divorce. Judicial separation involves filing for an official judgment of separation from the Family Court. In Singapore, it is not a commonly-used procedure as getting a judicial separation is fairly costly and offer little advantage. Similar to divorce, there is a need to prove the irretrievable breakdown of the marriage based on certain facts. Usually, if the situation gets to this stage, it may be a better idea to consider moving straight to divorce proceedings. Of course, you should find a good divorce lawyer in Singapore to advise you on your specific situation. Why would Anyone Choose to Get Separated in Singapore? Retains the potential for reconciliation. 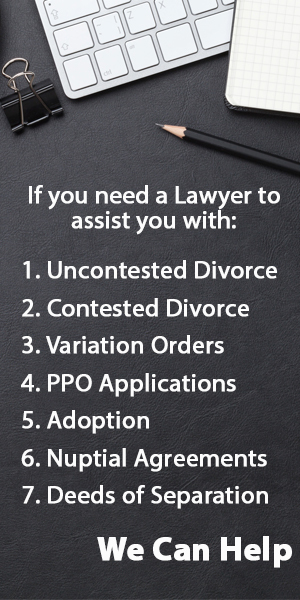 Hire us to handle your Separation or Divorce. We answer all your queries within 24 hours.